lofar-uk: The Beast is back! 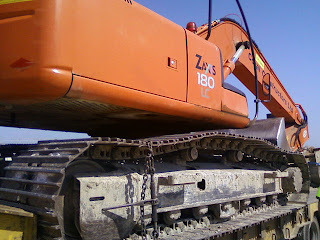 The 18-tonne tracked digger - "The Beast" - is back on site in Chilbolton (along with its expert driver, John Murray). 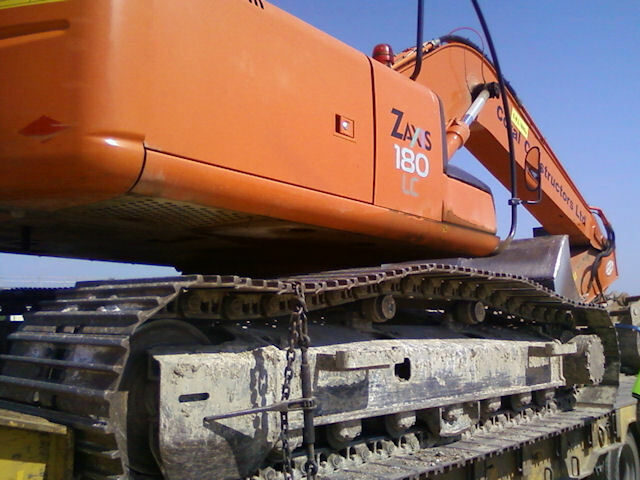 This heavy piece of machinery will be used for some soil works. However its primary purpose will be as an all-terrain lifting machine. It will lift HBA tiles during their preparation phase and will then move them out onto the field for deployment.